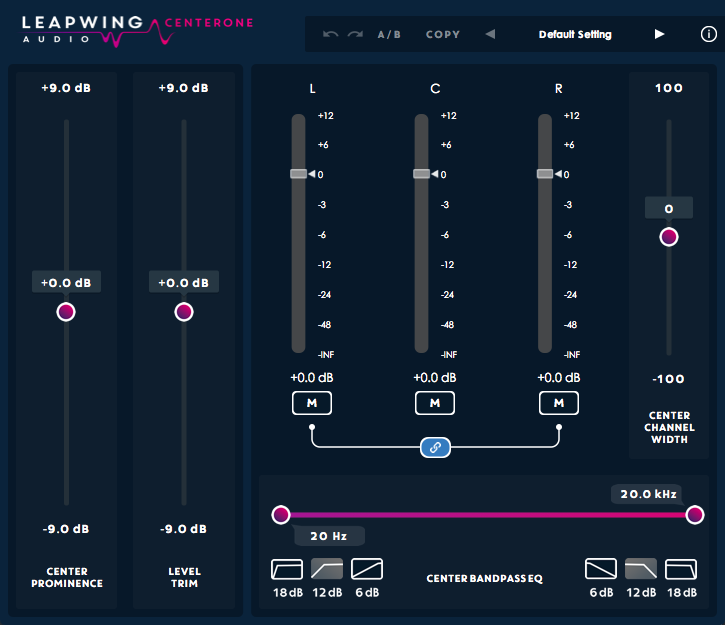 Leapwing Audio’s CenterOne is a fairly simple plug-in, aimed primarily at the Mastering market. It’s designed to do two jobs: Center Prominence and LCR extraction. There’s not much to the interface, but don’t let that fool you, this tool performs these jobs extremely well and without any detectable artifacts. I used this on a number of full mixes, some with vocals and some instrumentals as well as some experimentation on some individual stereo imaged tracks. 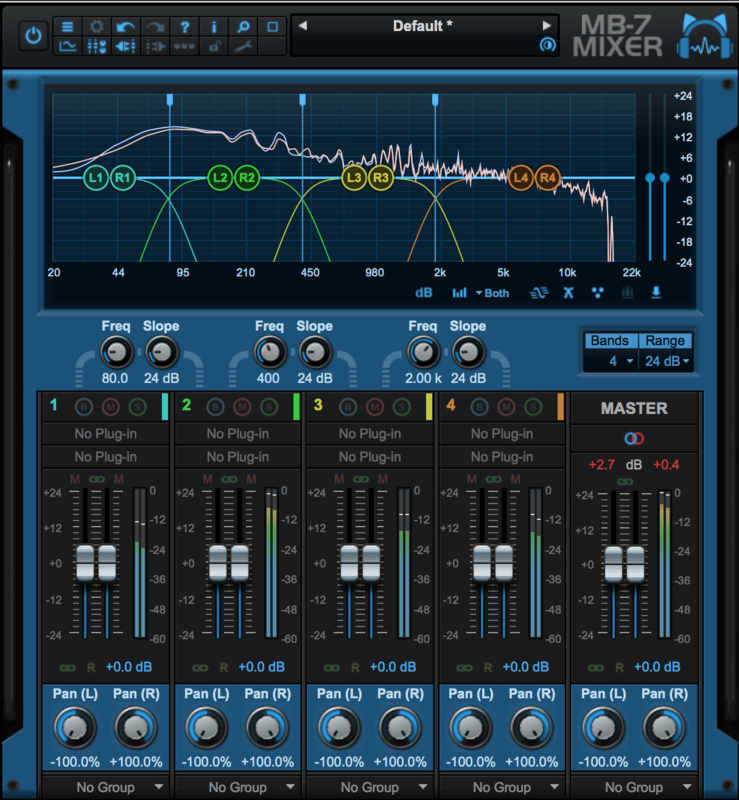 I would say this is definitely a mastering tool, in that it stands out as a way to rebalance a finished mix to either increase or reduce the center material…. which is typically lead vocal, bass, kick and snare. The center channel’s filtering it the key to narrowing the specific audio target you’re going after. Because the L&R channels may be unlinked, you even have the opportunity to make final L/R balance corrections as well. 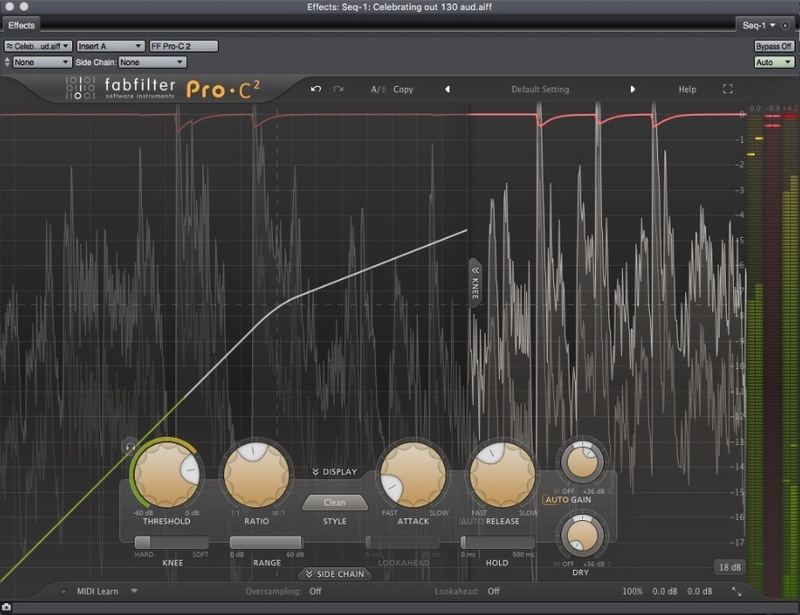 But this tool doesn’t necessarily have to be limited to full mix corrections. 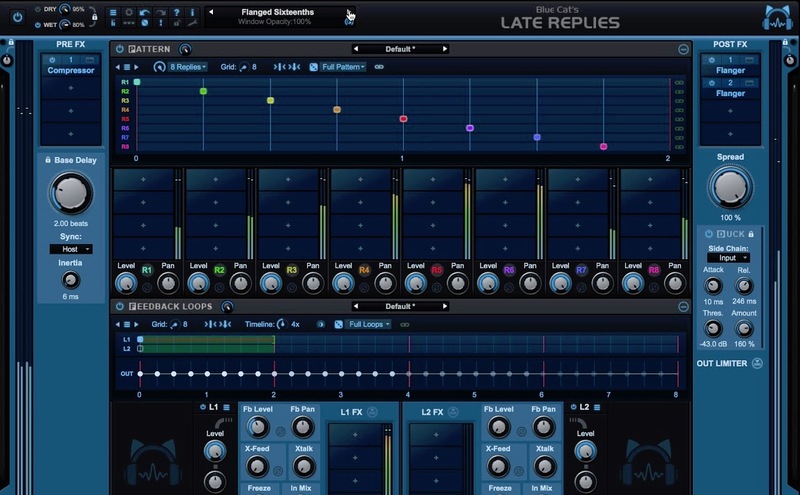 It can be used to rebalance individual tracks like drum loops and such, within the interior of a mix. I even found that automating it over some stereo recordings of synths and basses could result in some interesting special effects. Pictured above, from the left is, the Center Prominence slider with a +/-9db range and a Level Trim with the same range. This controls the pan law of the center channel. To its right are the LCR Extraction controls. There are 3 slider/meters for LCR, each with a -inf dB to +12dB range. Each slider has a Mute and the L&R sliders may be linked. Below the LCR sliders is a linear phase Center Bandpass Filter. It has two slider controls that cover a range of 20Hz to 20kHz. Each control has a slope range of 6, 12 or 18dB per octave. To the right of the LCR controls is a Center Channel Width control. This controls the width of the Center channel’s extraction. With an arbitrary range of -100 to +100, it can limit the extraction from only the center of a stereo image to a wider area of the image. 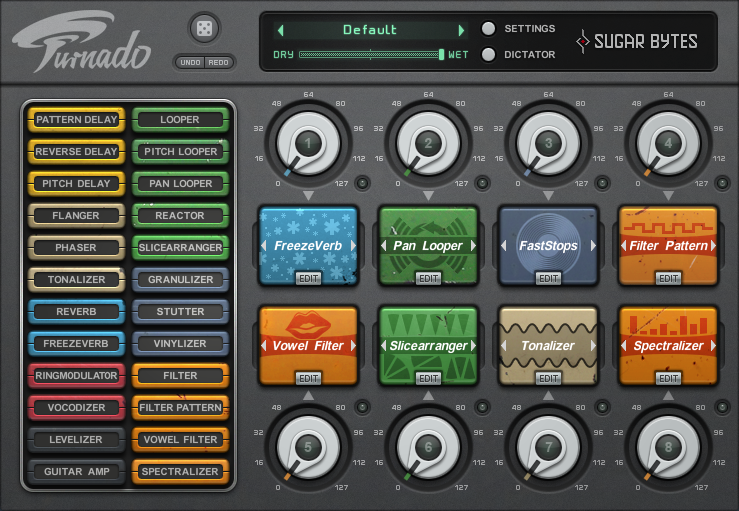 At the top of the UI is a pair of Undo/Redo buttons, an A/B storage section and a pulldown menu for storing or recalling presets. There are a number of factory selections available, all with descriptive, job-related names. It’s a good place to start to get a quick idea of CenterOne’s capabilities. I liked that the factory presets target the typical kinds of things you might need to do to a center image. Short list, but to the point. Does what it says on the tin. Starting with the Center Prominence control, you can change the pan law for center material. This can push the center up or down without affecting the overall panorama. As suggested in the manual, I muted the L&R channels and took a listen to what the Center Channel Width was doing. You can clearly hear it widening and narrowing the range of the center material. Real useful if you’re trying to avoid knocking out more than you need to from the center. And while I was in this listening mode, I ran the Center Bandpass EQ (filters, really) to see how they interacted with the center channel. This is a stellar feature, as I was able to tune in an area of vocal intelligibility to push it up a bit without screwing around with the rest of the mix’s balance. On another piece, I used it to knock down a bass guitar that I thought was sitting too loudly in the track. Works like a charm without killing the overall mix. Depending on what you’re working with, this plug-in is capable of going from subtle changes to…well…not so subtle changes. But all within a reasonable range. If I pushed something a little too hard I was able to back off the overall effect with the Trim control. BTW, the A/B memories are real handy working with this unit. I found it a boon as I was automating a series of changes across an entire mix. That brings me to this nice little touch: All the faders can snap to where you click. This meant I could rehearse a section and then just point and click when I needed immediate jumps. Of course, you can click and drag for fade changes, but I really liked the ability to point and change something immediately in time with the music. 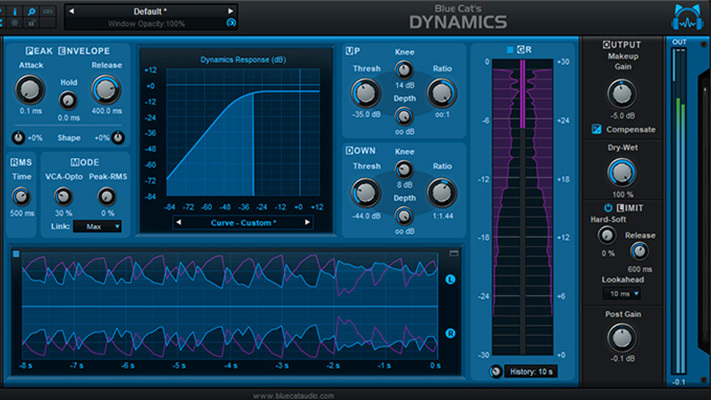 As mentioned, the EQ can really make a difference in center material build-ups. 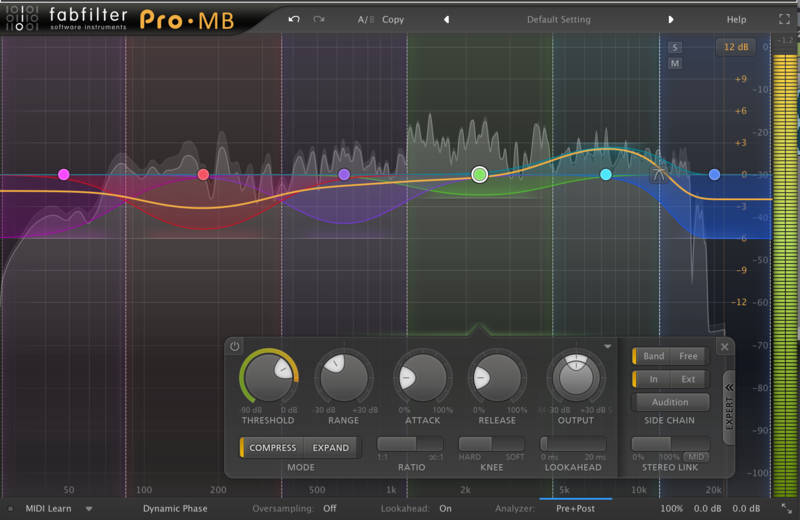 I found it to be key in cleaning up excessive bottom end without messing around with the overall panorama of the mix. I also found that CenterOne can act as a special effects device in that at its extremes, it can really make a dramatic change to the sound of something. A good example was a stereo bass track that was printed with a very heavy and wide stereo chorus. Knocking out the center entirely pretty much left the chorus intact minus the bass itself. It was interesting, and I could see uses for this in certain situations. It’s just good to know it can do a couple of weird things when pushed. After about two hours of trying this out, I found a lot of material that really benefited being run through this plug-in. This really is an excellent “last stop” tool to make balance corrections after the fact…. particularly if you did a mix with a “not so great” set of speakers…and realized it still needed work as you listen back on a really good set of speakers. The manual is well written, with solid definitions of all the parameters…and mercifully short. This plug-in doesn’t appear to use much CPU at all and while that may not matter much on fixing a full mix, I found it worked out well in a couple of mixes that contained a number of troublesome stereo tracks, where I inserted multiple instances of the plug-in. The only area that the “point and click” technique can be troublesome is the Filter knobs. It is possible to click an area that you think the upper frequency will jump to and discover that you’ve just jumped the lower frequency’s knob. This isn’t really an issue, and I don’t believe Leapwing needs to address it, but I’d thought I’d point it out here as a warning. Once the EQ’s bandwidth has been set, I love to be able to click and drag the bar between the knobs to set the center frequency without upsetting the width. I wouldn’t mind if there were panners associated with the LCR faders. In a “last stop” situation, it would be handy. I think this should be in everyone who masters or mixes toolbox. It does what it designed to do without artifacting the results. That’s a pretty neat trick in itself. The unit is a breeze to operate, and totally intuitive in its layout. The only reason I opened the manual was to double check my review for correct terminology. It is a bit pricey, but I haven’t come across something like this that does the job as clean as this one does. It’s damn near perfect.